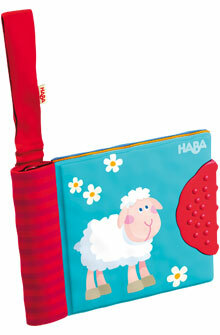 HABA 2422 - Attach to buggy, clothing or cot - teething element - cloth picture book fun for out and about. Comes with 8 different picture pages. Book measures 4.5" x 5" (without handle).